We caught up with Nashville’s Keegan DeWitt at SXSW this year and he played us a couple of songs on his acoustic guitar. Well, he’s not specifically Nashville, but you know how musicians are these days. He’s about to head out on the Daytrotter Barnstormer IV Tour with Sondre Lerche at the end of this week. DeWitt’s new song is now streaming at AOL Spinner along with an interesting story about why he is playing music professionally today. 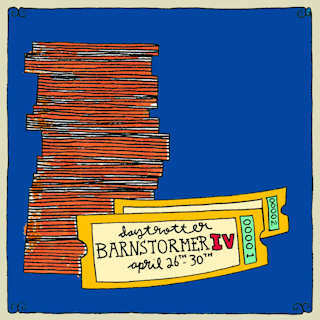 I hope this Barnstormer tour isn’t as dangerous as it sounds. Barnstorming should only be done with a professional pilot kids. Don’t try it at home.